Esteemed etiquette expert Emily Post encouraged guests to come prepared with a gift when dining at someone else's home, and a visit to the White House is no different. 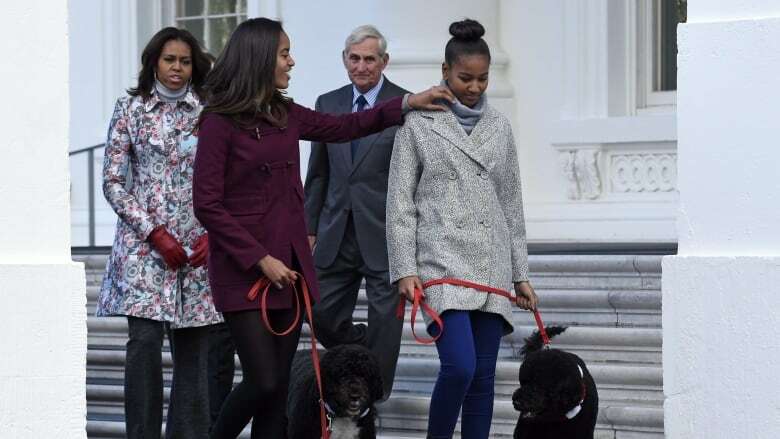 The Trudeaus gifted the Obama family, including Portuguese water dogs Bo and Sunny, with Canadian-made goods. 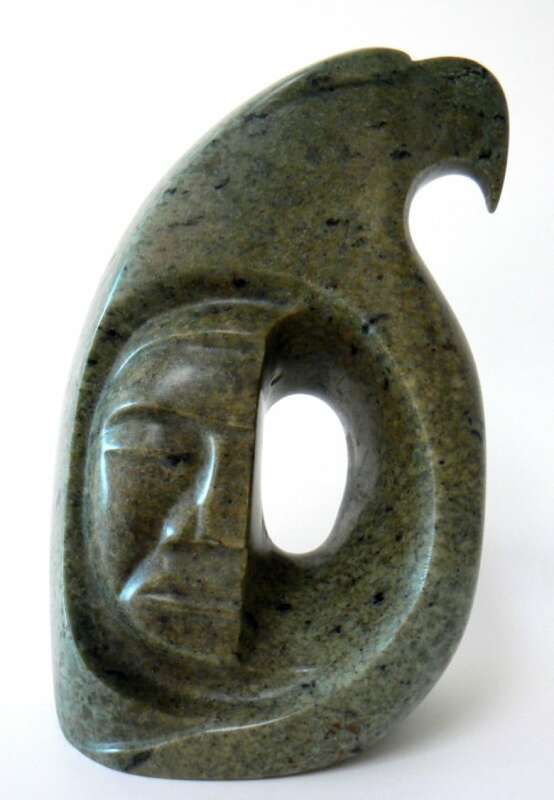 Prime Minister Justin Trudeau gave President Barack Obama a soapstone sculpture called Courage by Woodland Cree sculptor Leo Arcand of the Alexander First Nations reserve in northern Alberta. It came as a surprise to the artist. Arcand said he got a call Wednesday morning from Bearclaw Gallery in Edmonton, where his work has been shown for the past two decades. "She said, 'I have some great news. One of your pieces was given as a gift to President Obama.' I'm, like, 'What? How did that happen?' I didn't really know what to say." The sculpture was listed for $650 online. SophieGrégoire-Trudeau gave Michelle Obama a native aboriginal beaded cape by Tammy Beauvais of Kahnawake, Que. Beauvais said it's navy blue, Obama's favourite colour, and includes three small glass beads that belonged to her great-grandmother. "I only use them once in a while. I put three on the cape, one in each beaded flower," she said. The two Obama sisters, teenagers Malia and Sasha, received "Maverick" scarves by Ottawa designer Krista Norris. The long scarves are listed at $138 on her company website. And last, but not least, the White House's canine residents received all-weather dog boots by Toronto company Muttluks. Owner Marianne Bertrand donated more than 850 sets of boots to the 300 search and rescue dogs at Ground Zero on 9/11.